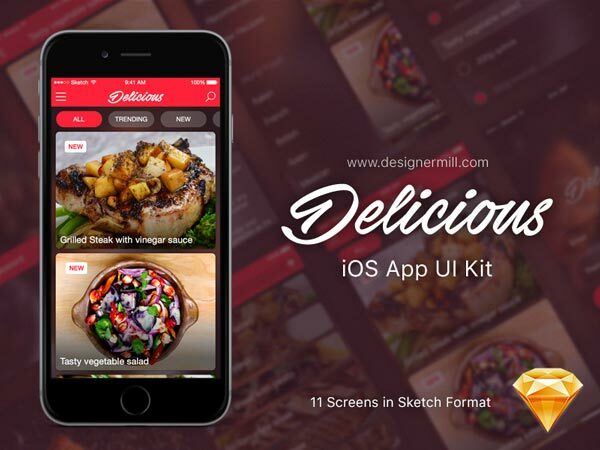 Delicious is a free UI Kit for a food recipes app. It includes 11 well-organised pixel-perfect screens in Sketch format. Exclusive freebie designed by Robert Anitei for DesignerMill.